Bernhard Maier, member of the executive board and head of the sales and marketing division at Porsche AG, shares how brand experience is changing but not eroding in an age of digitalisation. In the past, a Porsche buyer would make five or six visits beforehand to learn about various models and options. In recent years, this number has been decreasing. The reasons for this are an increase in digitalisation and the around-the-clock availability of information. Today, a potential buyer finds a lot of this information on the internet. So people come to the dealership having very specific ideas in mind. But this need not be a disadvantage. Especially when you can influence the customer’s digital touchpoints. Now, instead of the five or six times, it will be only two or three visits. Because there are a lot of things that a computer will never be able to replace. There’s simply no app for emotions. For instance, how it feels to sit in a Porsche, the smell of its fine leather, taking in its ambience. Or during a test drive, experiencing its driving dynamics and feeling the butterflies in your stomach. I’m firmly convinced that with a product of this quality and price range, the final buying decision is not going to be made on a computer. We know from current market surveys and internet analysis that the buying and ownership experience is especially important in the luxury goods sector. Customers view a product’s exclusivity as being just this point. It can’t only be accomplished digitally because personal service is the deciding factor. If anything, the showrooms and dealerships have to be upgraded even further. We know that the number of visits tends to be decreasing. Therefore, you have to win over customers in a very short time using flawless personal contact. And it has to have all the emotion that they expect. Could it be that luxury customers are finding the experience increasingly more important than owning something? Many of our customers still find ownership important. We call them the 'Proud Patrons'. After breakfast in the morning they go down to their garage with a cup of coffee in their hand, take a look at their automotive 'babies' and think, 'Nice to have you here!' These customers actually don’t have much time to go driving. They simply enjoy possessing things. On the other side of the coin, there are the customers who we call the 'Top Guns'. They have discovered their passion for driving and on Sundays, when they have time, they will go out to a racetrack to explore the limits of their vehicle. The Porsche experience also means being able to exchange thoughts within a community. That’s why the community idea is such a strong part of our company. 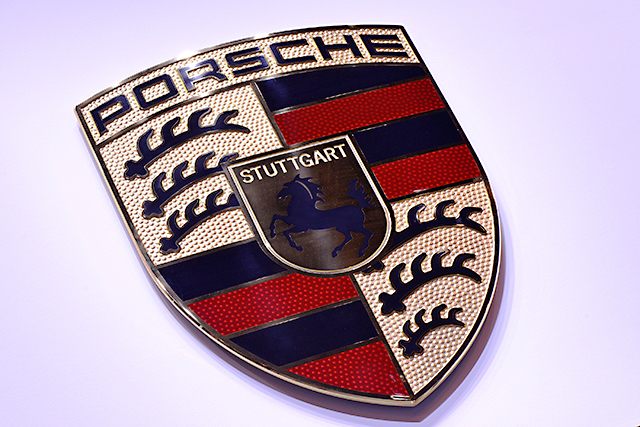 The Porsche Club is one of the oldest and largest branded clubs in the world. Though not every customer immediately wants to become a club member. Everyone wants to choose for themselves. However, many of our customers would like to be engaged with very beautiful and interesting things. So we invite them to panel discussions, lectures, gallery openings and other cultural events. Since we know that a lot of our customers are interested in the arts, we have expanded our activities in cultural sponsoring. There is a partnership with the Stuttgart Ballet, which is one of the world’s most renowned dance companies. The same applies to the Leipzig Gewandhaus Orchestra. We selected these two institutions because they are located in the same towns as our two main production facilities. "Made in Germany" is part of our authenticity. In addition, we are involved in sporting events, which is an obvious match for a sports car manufacturer. So you see, this way we are able to offer our customers and fans different experiences. These are geared to the interests of a community which, in part, money can’t buy. Owning a Porsche is still at the core of these experiences in the end though. This interview features in Re-Thinking Luxury: How to market exclusive products and services in an ever-changing environment, authored by consultants at Roland Berger and published by LID.